Kinvey, the TechStars startup out of Boston that provides a unique backend as a service (BaaS), has closed $5 million in a new Series-A round of financing, led by Avalon Ventures with Atlas Venture following on. Kinvey previously raised a $2 million seed round in August last year. 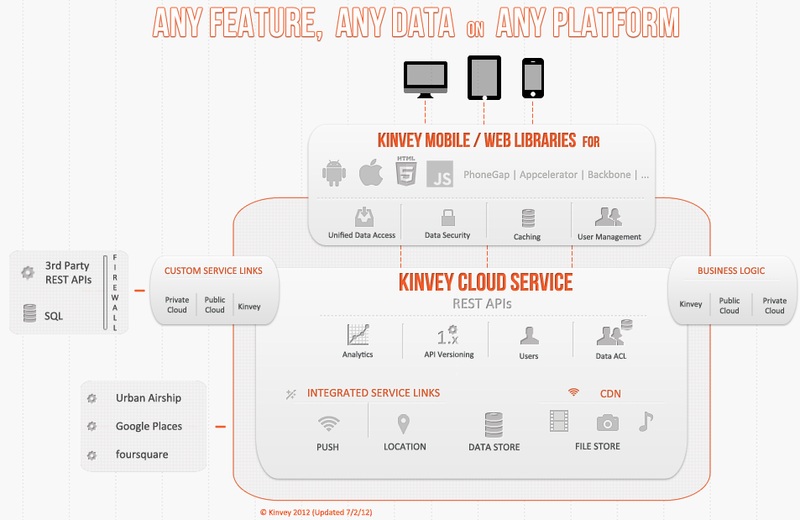 Kinvey wants to be the company that provides the glue that fits the solutions of old with the service of this new age of IT. To do that, the company is today bringing out of beta a service that does much of the backend work that is often the bane of an organization as it seeks to bridge new and old systems. Kinvey surfaces this funny issue with enterprise IT. The legacy players have old, client/server environments that uses services oriented architectures, making integration with next generation apps a certain challenge for the developer trying to unlock data behind firewalls and integrating such silo environments such as RedHat JBOSS, SAP Netweaver or an Oracle environment. 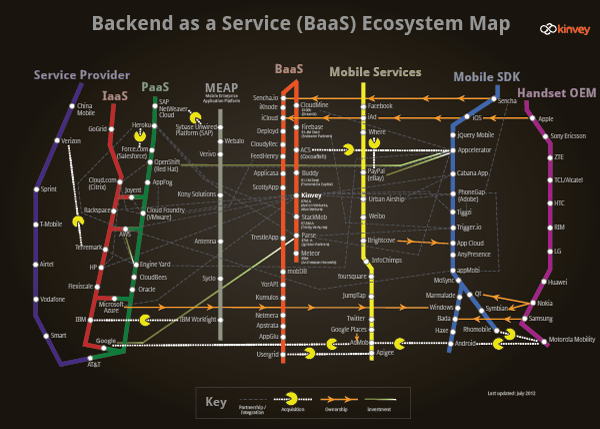 The new generation of enterprise service providers use any number of APIS. They are elegant when up and running but the same backend work needs to get done each time a developer integrates a new API. This can be especially complicated for the enterprise that is trying to modernize its infrastructure and trying to make sense of how to fit different loosely coupled environments into systems that me by five, ten or even 15 years old. It can be a monumental task to integrate social, location and push features in such environments. Mobile APIs are often all you get from the likes of Google Places, foursquare or automatic push environments such as Urban Airship. Softwares from infrastructure as a service providers like Amazon Web Services and existing offerings from PaaS providers only provide you with APIs and libraries that let you use their features. If you want a feature they don’t’ provide you with, you have to build it yourself. All of this can cost them months of work and hundreds of thousands of dollars in costs. Kinvey has developed a backend environment that glues these different fragmented environments together. It’s a unified process between the client and the cloud with a unified API and software libraries. It also includes a back-end data store for images and videos. “We are your back end dev team,” said Sravish Sridhar, Kinvey’s CEO and Founder. This is a major task. It means being everything to everybody. Sridhar said they have spent the last year developing the core data service to move information back and forth between apps and backend systms. It can now handle about 80% of what backend developer might see. They are picking off the remainder one by one. Kinvey will use a good part of its funding to build a worldwide developer community. They are open-sourcing what they call “service links,” that will connect the back end environments. The goal is to get developers to build their own and open-sourcing them for others to use.